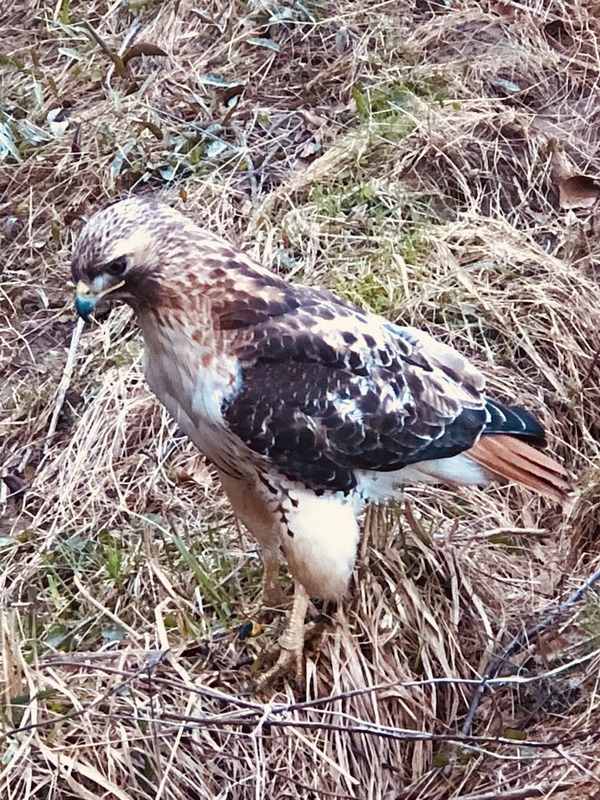 Sometimes fishing in Pittsburgh is more than just landing a nice small mouth bass or catfish in one of the rivers. 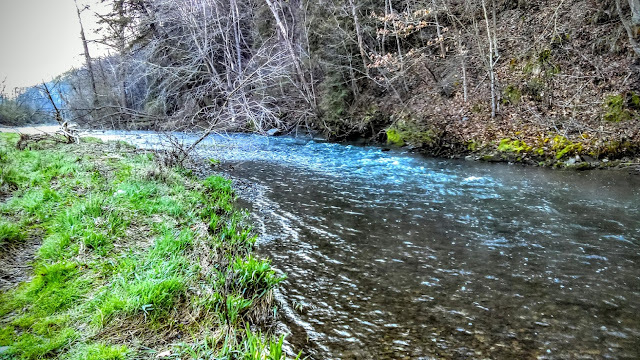 Sometimes the best catch is just some peace and quiet and the sounds of the river and surrounding ecosystem. 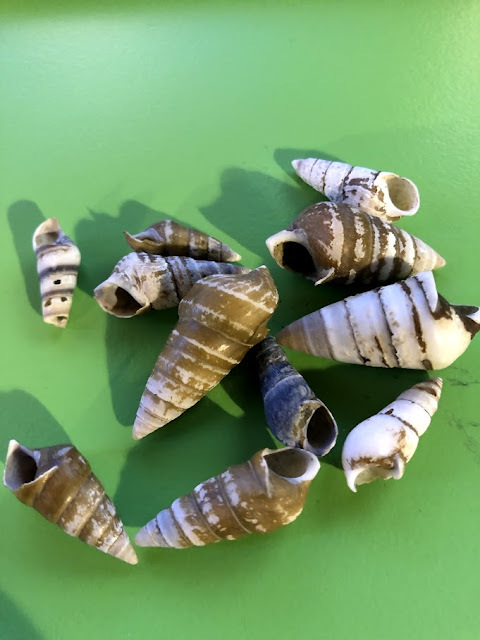 Picturesque spiral mollusk shells on the north shore of the Allegheny River in Pittsburgh. For reference, that is the 16th Street Bridge and the City of Pittsburgh in the background. 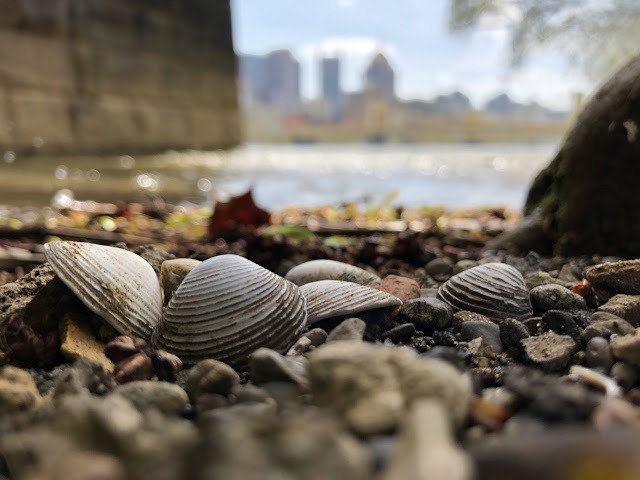 Asian Clams are some of the other types of "Pittsburgh seashells" that can be seen on the shores of the three rivers. Read more about them here. 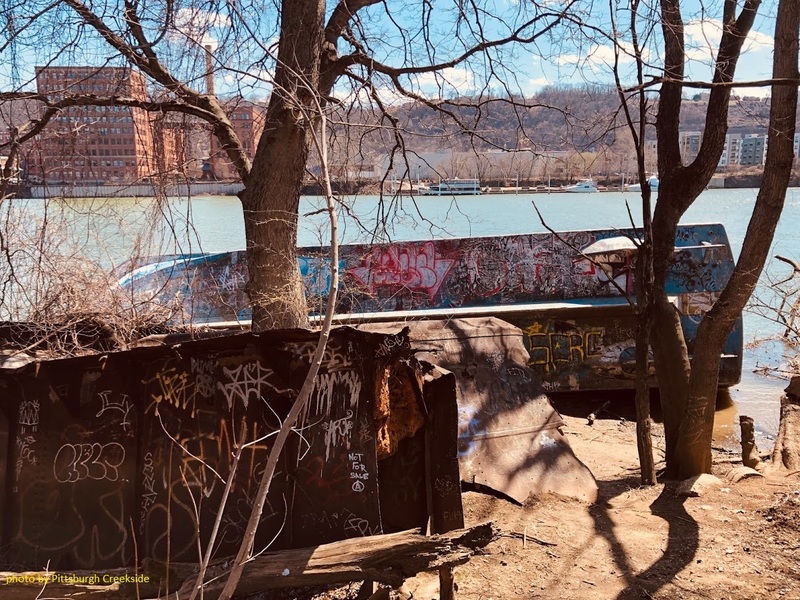 If you are ever on the Three Rivers Heritage Trail on the North Shore of Pittsburgh and looking for an outdoor adventure then be sure to seek out the mysterious Pittsburgh ghost ship. 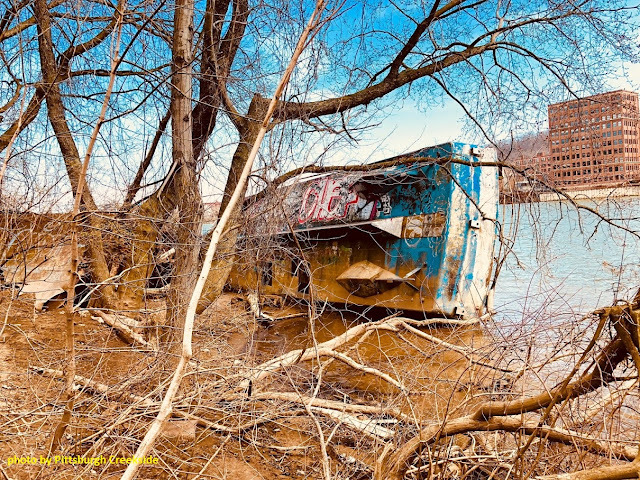 The capsized vessel lies in the boat graveyard on the banks of the Allegheny River off of River Ave. past the Heinz Lofts and Riverbend Foods in Troy Hill. 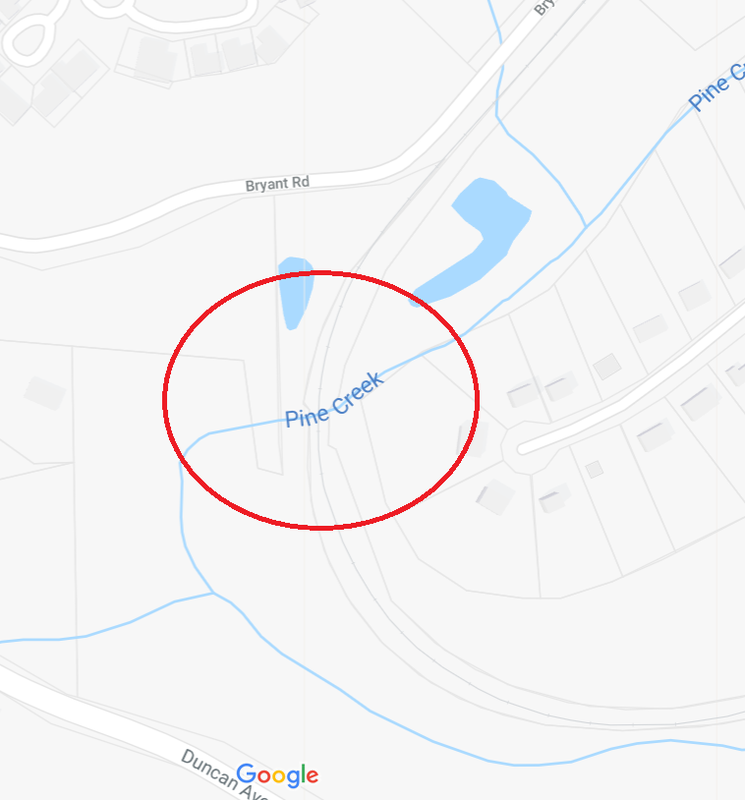 For the exact location of the wreckage see the Google maps below. On the Three Rivers Heritage trail, the boat boneyard will be on your right hand side, down below on the riverbank. There is also a rusted out barge and other very interesting river and nautical wreckage to see. Obviously, caution is advised when exploring this area as the mud is sometimes slippery and there are plenty of Jagger-bushes (Pittsburghese for thorn bushes) and dead fall around. Also, the shipwreck can be seen much better from the trail when there is no foliage or growth on the trees. If you walk farther down the trail there are a few clearings on the river path including a wide opening of what looks like to be access to an old barge wharf or loading dock. This area provides a great view of the capsized ship's pilot house and bow with the city of Pittsburgh vista behind it. 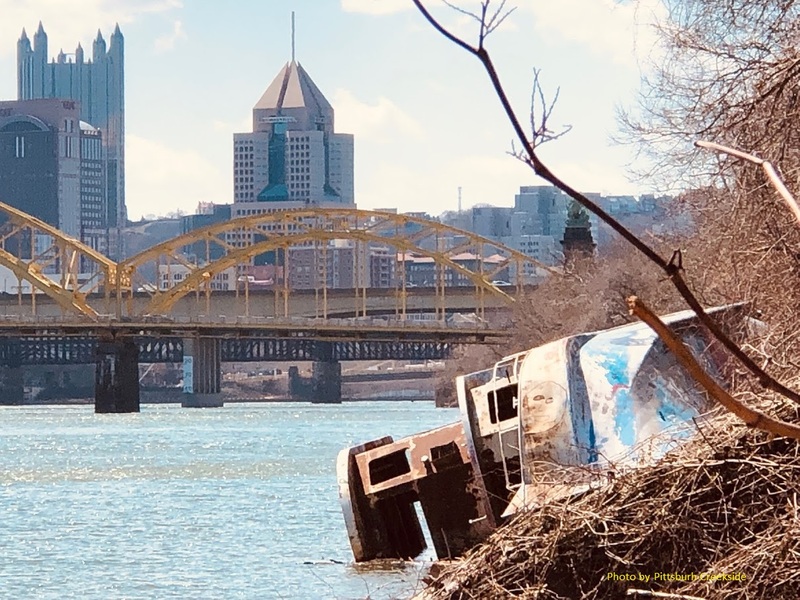 According to web reports, no owners have come forth to explain what happened or to claim the Pittsburgh Ghost Ship yet. 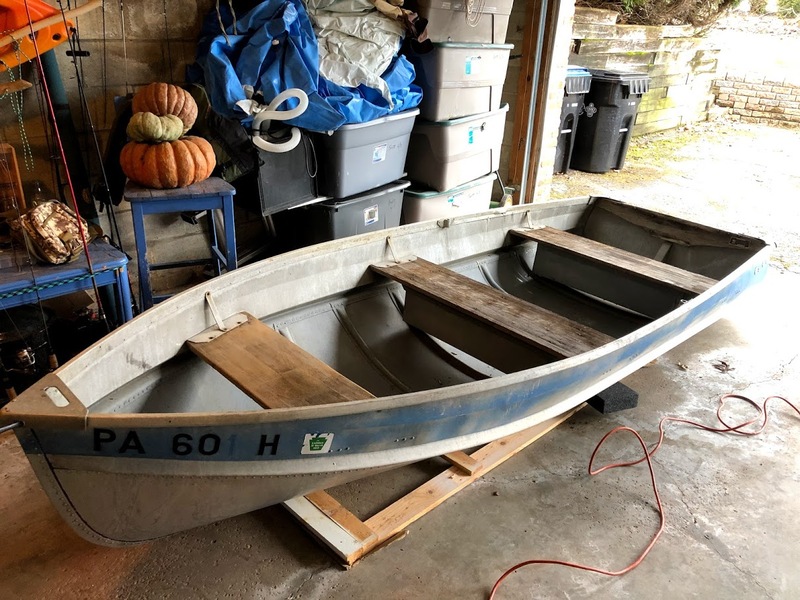 Pittsburgh police and river authorities are still looking for the boat's Captain Jack Sparrow, maybe they should call Pittsburgh's finest - Sgt. Tom Hardy to investigate the wreck... For those that don't know, Sgt. Tom Hardy is Bruce Willis' character in the Pittsburgh cult classic Striking Distance. I picked up this 1970's Sea King 12ft aluminum row boat for $75.00 at a local Pittsburgh yard sale. I purchased a wire brush bit for my cordless drill and two spray cans and one quart of Rustoleum protective enamel paint for a new coat of blue and grey. I already had the hand sander and paper, stain and polyurethane for the wooden seats. 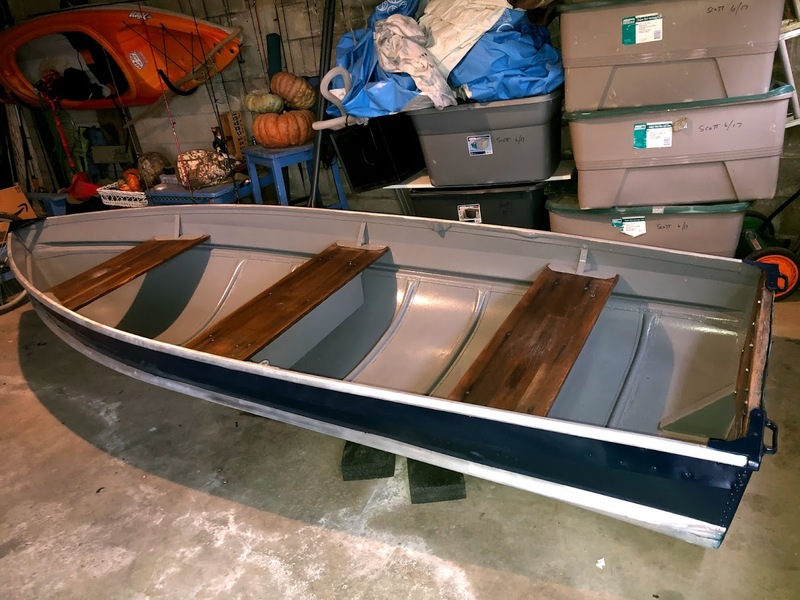 I spent two weekends cleaning this boat up and now that it is finished I'll purchase a launch permit and then my son and I will be off fishing at the local lake soon. 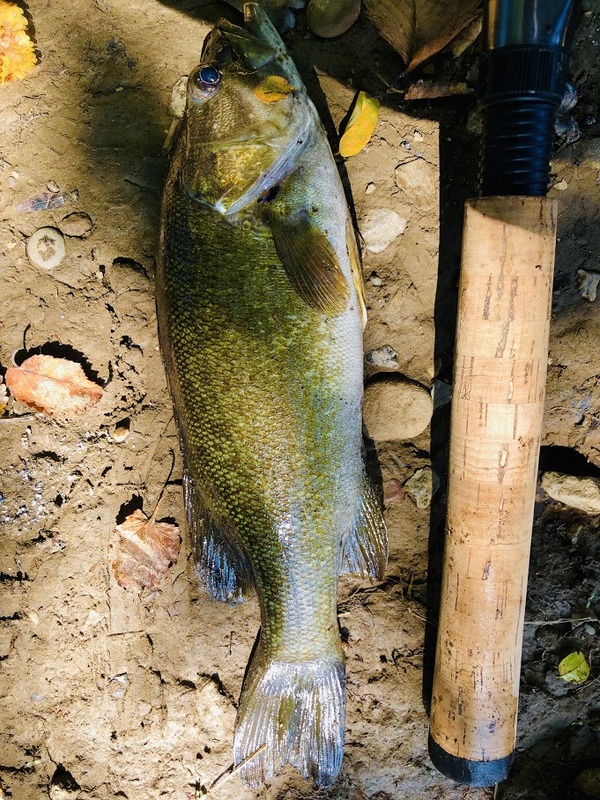 Good luck to everyone on the upcoming 2019 fishing season! 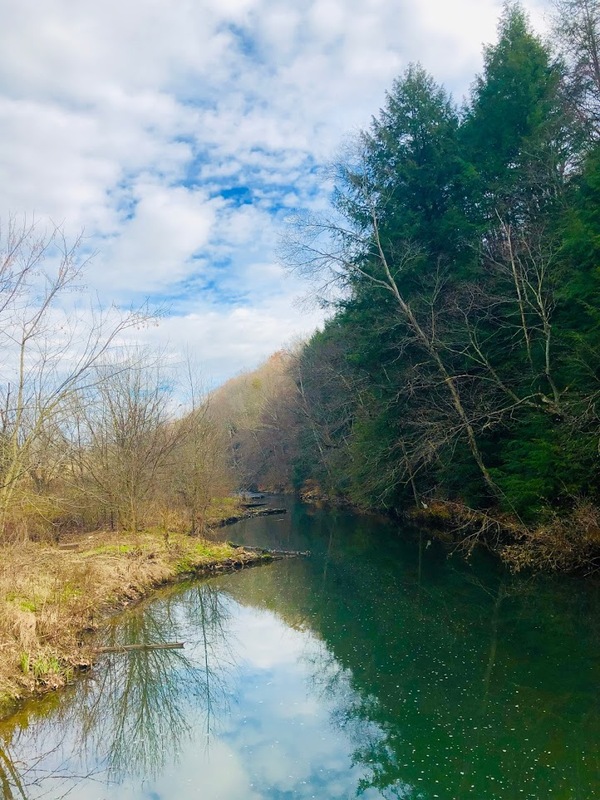 The opening day of trout season in Western PA and much of Pennsylvania is Saturday April 13, 2019 at 8:00AM. 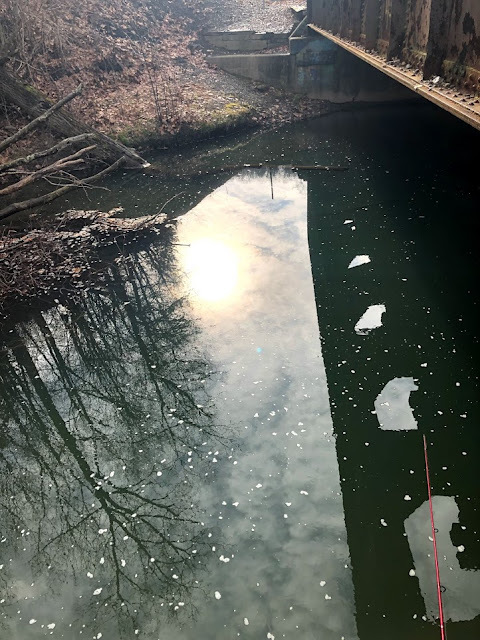 Here is the current Pennsylvania Fish & Boat Commission list of trout stockings for North Park and Pine Creek in the North Hills of Pittsburgh. 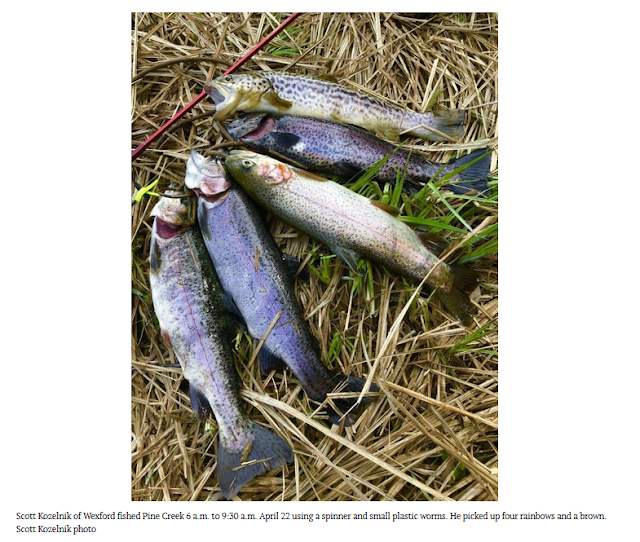 PA. For other western Pennsylvania trout stocking information visit the Pennsylvania Fish & Boat Commission. Good luck and see you out there on Opening Day! Awaiting the first warm days of Spring to cast a line into the Allegheny River in Pittsburgh. Check out some of past Allegheny River and Pittsburgh fishing posts to see what you can expect for the 2019 fishing season. Here are some landscapes of a recent winter hike on Pike Creek in the North Hills of Pittsburgh. 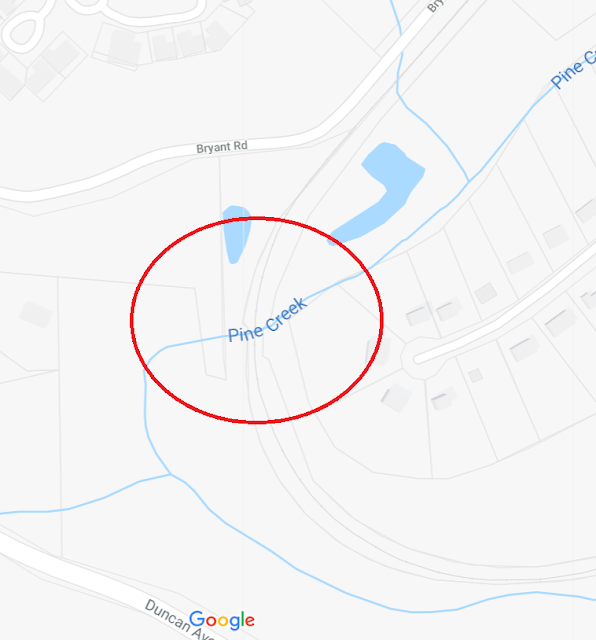 The creek is very picturesque from the parking lot on Bryant road down to the railroad bridge. I tossed in a Panther Martin spinner but nothing was stirring. "Water, Water Everywhere But Not a Fish to Bite." I caught these two small small mouth bass while tossing night night crawlers into the Allegheny River on the North Shore of Pittsburgh, Pennsylvania. Time 1:00 - 2:00pm. Water: very muddy. 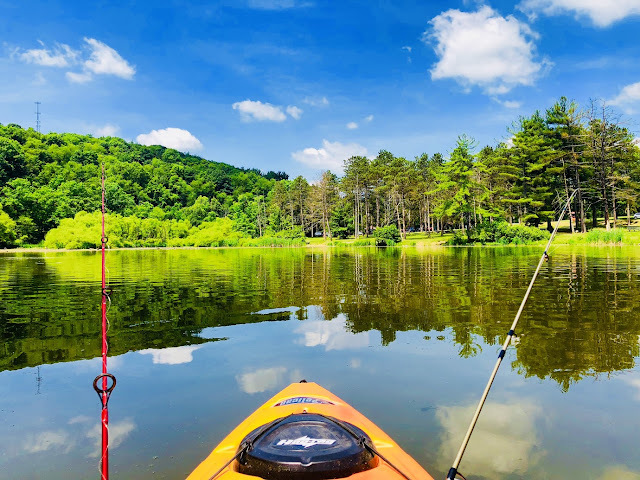 When the conversation of fishing and kayaking in Pittsburgh comes up among western Pennsylvania outdoor enthusiast, North Park in the North Hills of Pittsburgh always makes list. 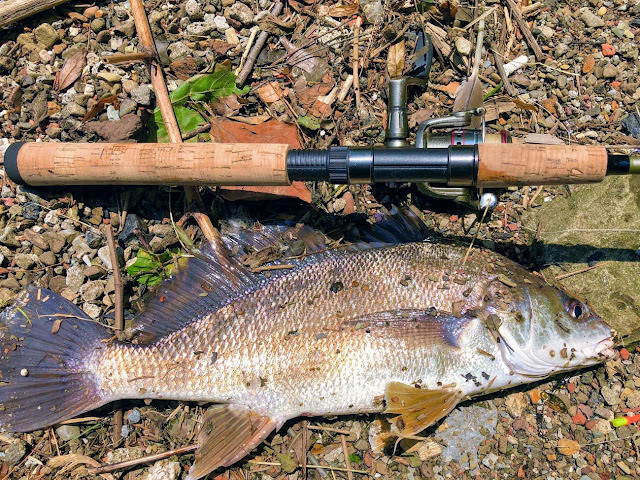 On a lunch time fishing trip I caught this 15 inch Freshwater Drum on a black and yellow panther martin with an orange and chartreuse trout magnet teaser. The fish was caught on the North Shore of Pittsburgh in the Allegheny River. 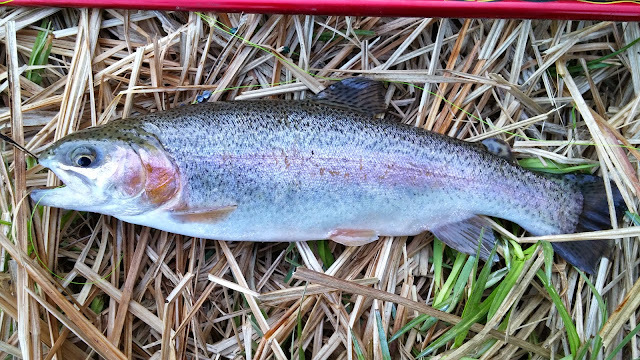 The fish hit the lure rather close to shore right before the river bottom drops off to deeper levels. 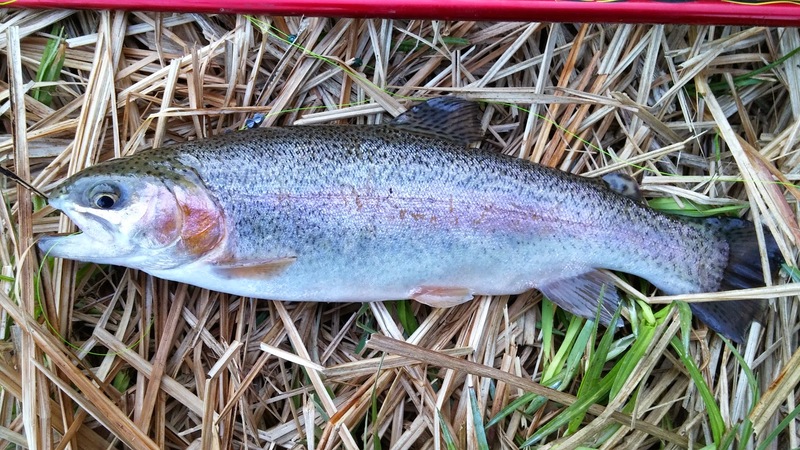 The fish was caught around 1:45 pm. 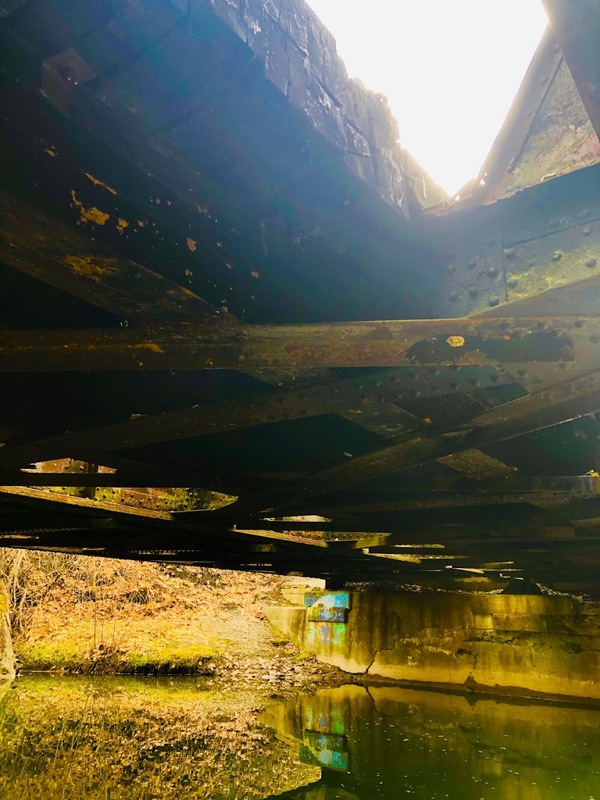 These invasive Asian Clams were photographed under the railroad bridge between the Rachel Carson and Veterans Bridge on the Allegheny River in Pittsburgh, Pennsylvania. 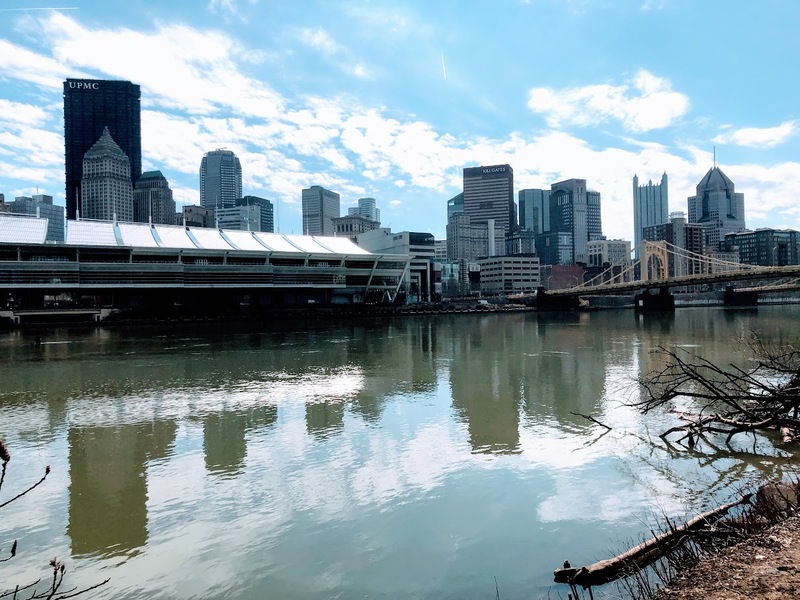 This species can be found throughout Pittsburgh's rivers and most of the commonwealth according to the Invasive Species Council Aquatic Invasive Species Management Plan. 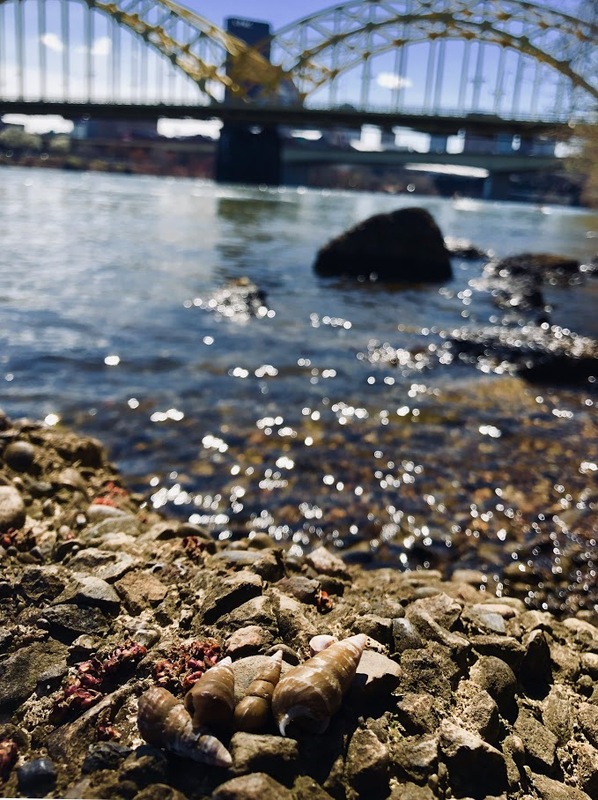 Asian Clam (Corbicula fluminea) was first reported in the United States in Washington’s Columbia River in the 1930s. It was likely introduced intentionally for harvest and consumption purposes (Counts, 1986). 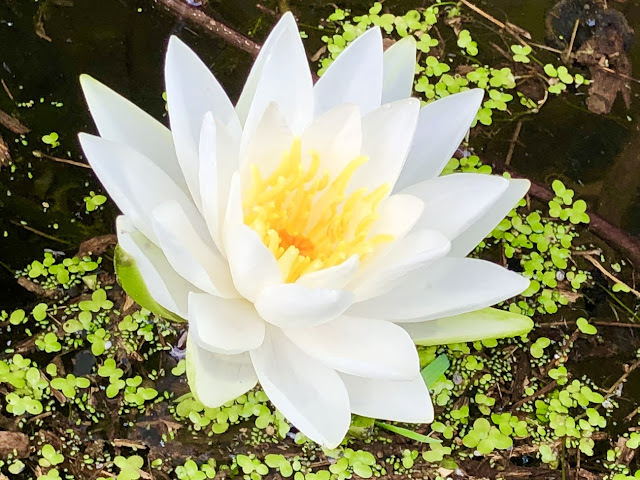 The most prominent economic impacts of the Asian clam introduction in the United States have been related to biofouling of power plant water intakes and other municipal and industrial water intake and supply systems (Isom et al. 1986, Williams and 18 Updated 2/14/2007 McMahon, 1986). 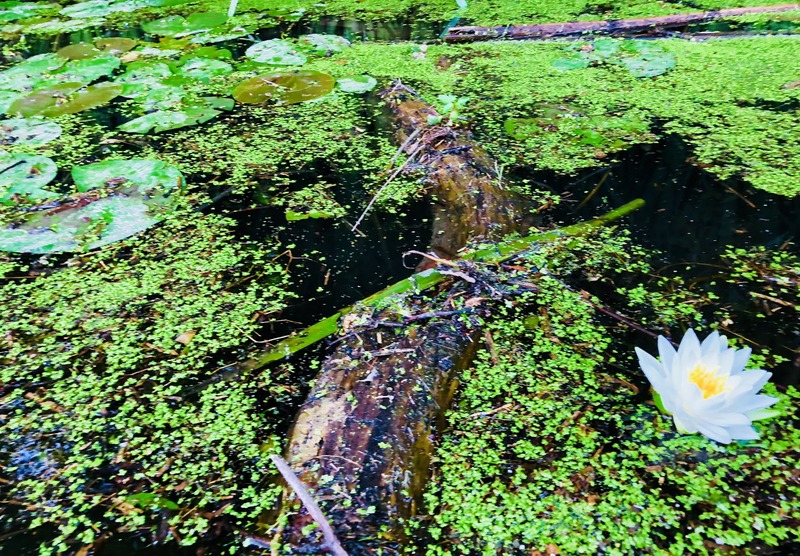 Ecological impacts result from competition with native species for space andother limited resources. The Asian clam has been blamed for the decline and local extinctions of several native freshwater mussel species (Williams, 1997). The Asian clam is now found in all of the major river drainages in Pennsylvania, including the Allegheny and Susquehanna. Read more about the Invasive Species Council Aquatic Invasive Species Management Plan here. 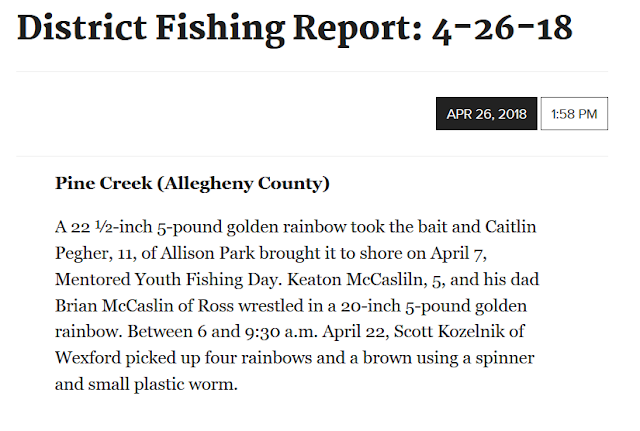 Pittsburgh Creekside is mentioned in the Pittsburgh Post Gazette District Fishing Report for April 26, 2018 and entered into the 2018 Pittsburgh Post Gazette Trout Photo Contest. 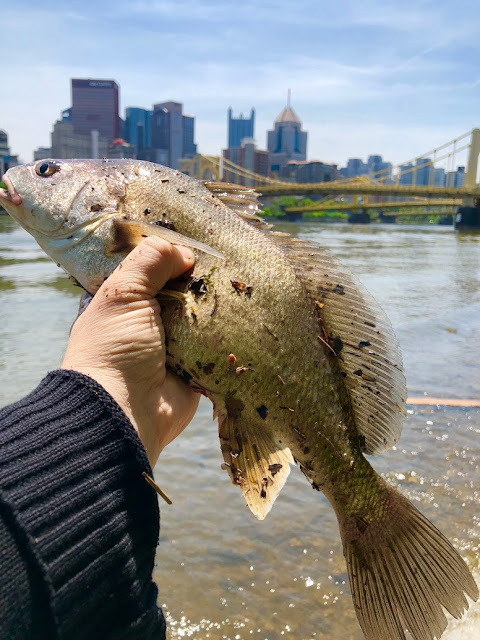 Check out the report for more information on fishing in Pittsburgh. 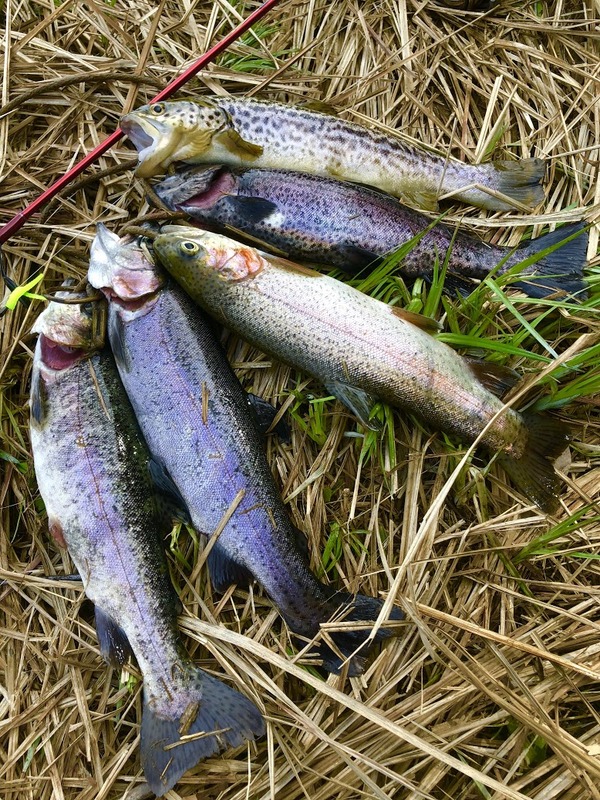 The beginning of the 2018 Pennsylvania trout fishing season in Pittsburgh started off great for Pittsburgh Creekside. 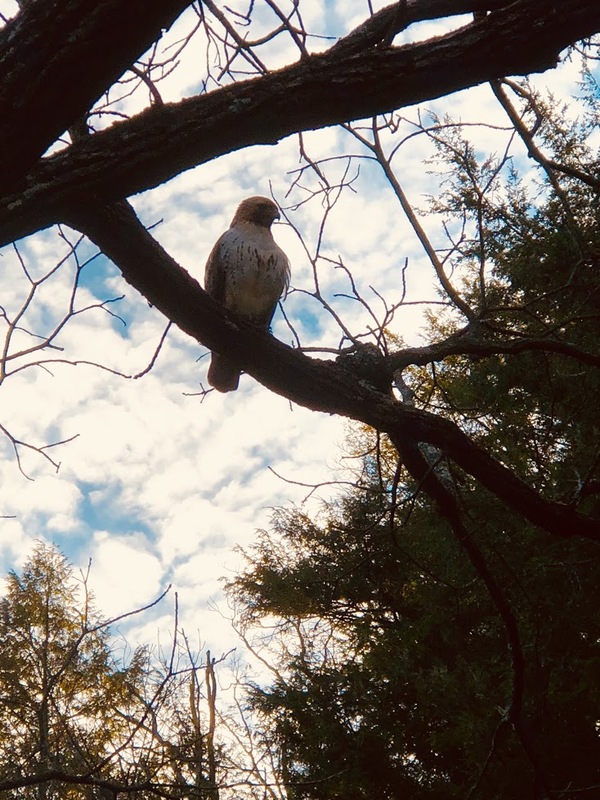 We were rewarded with a limit of trout and a close encounter with a western Pennsylvania red tail hawk during our early morning expedition into Pine Creek near North Park. Lures: Panther Martin Spinner - Black with yellow dots and bronze blade; Various rubber Trout Magnets. Read the rest of the Pittsburgh district fishing report here. 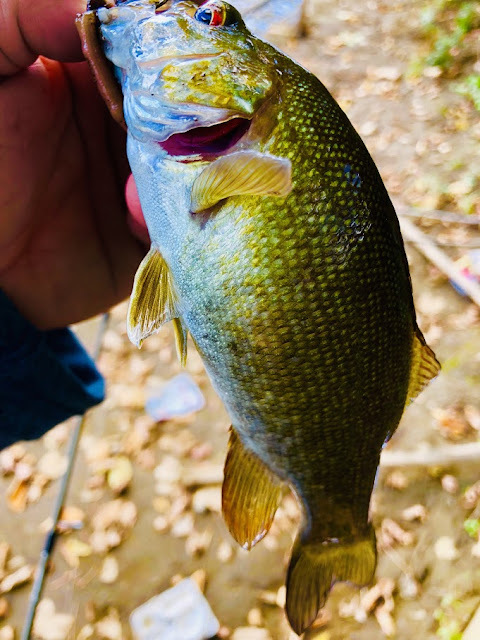 Read Autumn Fishing at Glade Run Lake Park, Valencia, PA post here. 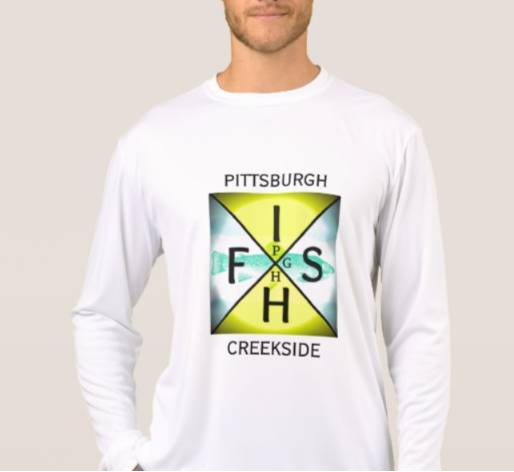 Let everyone know you fish Pittsburgh Creekside! Poets talk about "spots of time," but it is really fishermen who experience eternity compressed into a moment. No one can tell what a spot of time is until suddenly the whole world is a fish and the fish is gone. I shall remember that S.O.B. forever. One reason Paul caught more fish than anyone else was that he had his flies in the water more than anyone else. "Brother," he would say, "there are no flying fish in Montana. Out here, you can't catch fish with your flies in the air." Y'all know me. Know how I earn a livin'. I'll catch this bird for you, but it ain't gonna be easy. Bad fish. Not like going down the pond chasin' bluegills and tommycods. This shark, swallow you whole. Little shakin', little tenderizin', an' down you go. "I don't want to sit at the head table anymore. I want to go fishing."